Once again the concerts were introduced by a series of residency events. This time they included an open rehearsal; a panel discussion led by UC Berkeley faculty member Nic Mathew and featuring first violinist Edward Dusinberre and visiting scholars Mary Hunter and Mark Ferraguto; and pre-performance conversations between Mathew and each of the visiting scholars. The theme for the weekend's concerts was "When Old Media Were New Media," or as the Cal Performances residency events program had it, "the role of audiences, institutions and technologies in shaping our experience of this music." One of the key new modes of experiencing the Beethoven string quartets was the public string quartet concert itself. Before Beethoven, string quartets were often played at home by groups featuring skilled aristocratic amateurs, with an audience of an invited group of friends. (A recent book about the Mozart string quartets was entitled Mozart's Music of Friends.) After Beethoven, string quartets were increasingly performed in concert halls by professional musicians with an audience of paying ticketholders. 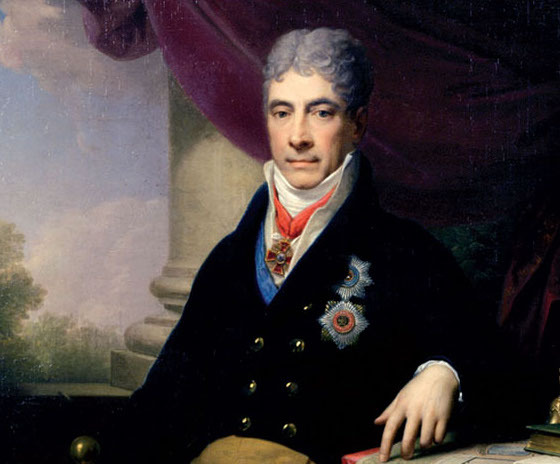 Razumovsky had to hire the professional Schuppanzigh Quartet (named for its first violinist Ignaz Schuppanzigh) for the first performance in 1807. That performance was received with bewilderment. "Not generally comprehensible." Even fifteen years later this same journal would state that Op. 59 No. 2 involved "bizarre sounds." It's unusual for the first violin to play a part that is so clearly intended as an accompaniment to what the other musicians are playing. It must have made those first listeners wonder whether the players had inadvertently switched parts. The Op. 59 No. 2 quartet was performed by the Takács during the Sunday afternoon concert. In the panel discussion on Friday night, a page of the first violinist Edward Dusinberre's part for this quartet was projected onscreen. 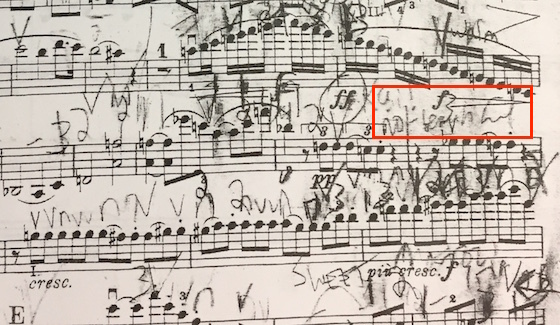 Over one of the measures (around 6:05 in the recording), he had written the words "not beautiful." I had an opportunity to ask Dusinberre what he was warning himself against in that passage; he replied that as a student his training had emphasized producing a beautiful sound. As a professional musician, he had to learn to use beauty when it's appropriate, "and not just ladle it on." Beethoven's direction to play "with a great deal of feeling," in Dusinberre's view, meant that in these measures he should maintain a certain rigor and precision. That precision is especially needed in the slow movement of Beethoven's Op. 132. This nearly 20-minute-long adagio was described by Beethoven on the score as "Heiliger Dankgesang eines Genesenden an die Gottheit" (Holy Song of Thanks from a Convalescent to the Deity). 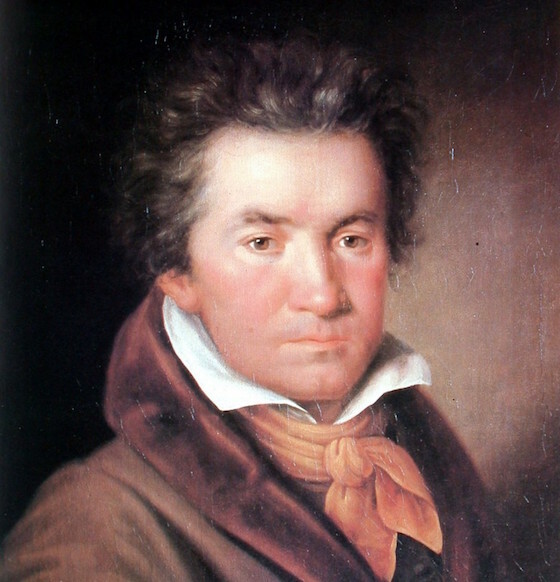 Beethoven had become seriously ill while working on Op. 132, and had miraculously recovered. The Holy Song of Thanks consists of five parts, alternating Molto adagio (very slow) with Andante (moderately slow). In inexpert hands this lengthy slow movement could easily bog down or become static; the Takács were able to maintain forward momentum while remaining emotionally expressive and playing in perfect unison. In concert, this movement simply stopped time. In the pre-performance conversation on Saturday night with Mary Hunter, Nic Mathew quoted someone as saying that "If you don't like the early quartets, that's Beethoven's fault; if you don't like the later quartets, that's your fault." Of course, it's never your "fault" if you don't like a work of art. As modern and postmodern (and whatever comes after postmodern) art have shown, the history of art is not a slow but steady march of progress from the worthy but primitive forms of the past to the increasing perfection of today. But it is your mistake if you dismiss a work without trying to understand its historical context and the artist's aims and methods. We live in a world that has been musically shaped by the middle and late Beethoven quartets; when they were first performed, of course, they were unprecedented. In his day Beethoven was seen as revolutionary, and the residency events that Cal Performances has sponsored around the Takács Quartet's Beethoven cycle are designed in part to try to help us recapture that sense of radical innovation. For me they have immeasurably enriched the experience of these difficult works. I'm very much looking forward to the next (and, alas, final) concerts in the series. Allgemeine musikalische Zeitung, 27 February 1807.